What is facility maintenance? Facility maintenance is the management of multiple locations and structures of a company. Duties include keeping buildings and infrastructure in good working order through regular maintenance, repair and renovation. Doing so helps to prevent shutdowns due to system failures, lack of safety or properties being excessively run down. Amongst the industries that typically require facility maintenance are medical offices, restaurants, shopping malls, hotels, commercial facilities, and retailers. 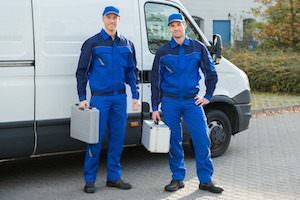 A facilities maintenance company is one that handles all types of service providers – hand-selecting them, vetting them, and matching providers to the different companies and their needs. Such companies facilitate the work, especially when dealing with multiple locations in various geographic areas. What Is Facility Maintenance and What Does Professional Facility Maintenance Include? Facility maintenance managers typically do not perform the necessary tasks, but instead schedule the contractors and vendors to do so. Because they are handling multiple locations and facilities, it is literally impossible to be hands-on everywhere. In fact, it is often a challenge to handle scheduling of service providers in areas they don’t know that well! RCS takes the stress out of securing the vendors needed for facility maintenance by finding the top technicians to handle any maintenance or construction issues. RCS offers vetted, quality professionals who can handle any project placed before them. As a facility maintenance company, we save you from having to spend hours or days researching, negotiating, and supervising vendors in multiple locations. We have relationships of trust with most of our vendors, so when we provide one to meet your needs, we are confident in their abilities and stand behind them. And if we need to find a new vendor, we have a stringent set of guidelines a provider must follow to become part of the RCS team. We are very hands-on with our vendors, so you don’t need to be. Oversight of your projects ensures you get the quality solutions you need when you need them most, and at a price that is fair and reasonable. To learn more about what is facility maintenance and the advantages of a facility maintenance company and to see what Retail Contracting Services can do for your business, contact our team of professionals now. We are here to help you assess your business’s unique needs and create the customized maintenance solutions that deliver results.